As one of the artists of the Warren Arts Center, we will be opening our studio at 325 Water Street, (Studio 4), Warren RI to the public for the Warren Walkabout 2011. Visit us at Trolley Stop #8, at the corner of Washington and Water Streets. Visit the website, Facebook page, or Twitter of the Warren Art Center to keep up with updates from our artists. 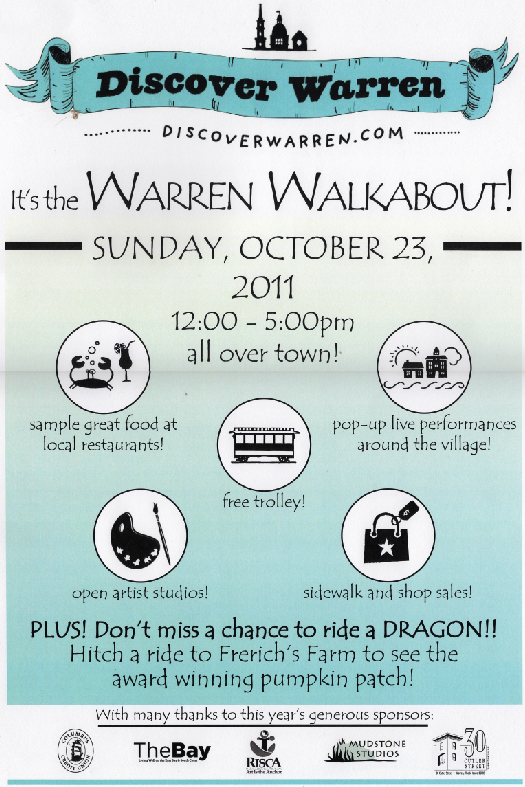 Look for more participating artists, shops, restaurants and more in the Warren Walkabout map and site listings in The Bay October 2011 issue.